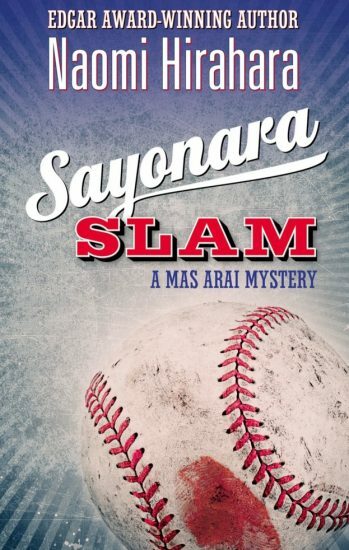 PASADENA — Naomi Hirahara’s latest mystery, “Sayonara Slam” (Prospect Park Books), will be officially launched on Monday, May 2, at 7 p.m. at Vroman’s Bookstore, 695 E. Colorado Blvd. in Pasadena. At Dodger Stadium it’s Japan vs. Korea in the World Baseball Classic, but before the first pitch is thrown, Mas Arai finds himself in the middle of a murder. Mysteries layer atop mysteries in this sixth in the award-winning series featuring the most unlikely of sleuths, an aging, widowed, not-exactly-communicative gardener from Altadena. Who is that unusual woman throwing knuckleball pitches to warm up the Japanese team? Who sent thugs to threaten Mas and accuse him of treason? And what were in the deleted files on the murdered sportswriter’s computer — and did they hold secrets that led to his death? The more mysteries Mas uncovers, the deeper he gets drawn into a situation that soon grows dangerous — including the danger of losing the affection of the woman he might someday admit he loves. Hirahara is the Edgar Award–winning author of the Mas Arai mystery series. Also nominated for the Macavity and Anthony awards, the series includes “Summer of the Big Bachi,” “Gasa-Gasa Girl,” “Snakeskin Shamisen,” “Blood Hina,” and “Strawberry Yellow.” She is also the author of the new Ellie Rush series (Berkley). A graduate of Stanford University, she has also written many books about gardening and Japanese American history and culture. Learn more at naomihirahara.com. The event will include Japanese beer and baseball-themed snacks. For more information on the venue, call (626) 449-5320 or visit www.vromansbookstore.com. To compete in the online giveaway, just take an “in the wild” picture of your copy of “Sayonara Slam” and send it to [email protected] The book (paper or on an e-reader) can be featured snuggling up to your cat, at your kid’s baseball game, or getting ice cream — it’s up to your imagination. The deadline is 12:01 a.m. on the official publication date, May 1. No worries about getting the book — it’s already in bookstores and on Amazon.com. San Mateo Public Library, 55 W, Third Ave., San Mateo, on Tuesday, May 3, at 6 p.m.
Book Carnival, 348 S. Tustin St., Orange, on Saturday, May 7, at 2 p.m.
Japanese American National Museum, 100 N. Central Ave., Little Tokyo, on Saturday, May 21, at 2 p.m.